our life in Singapore: where to live in Singapore? a lot of discussion on Facebook this morning about how ( or where) expats can find "the better place to live in Singapore" made me re think what it was like when we first came here five years ago..... first of all, there is NO 'better place' for everyone to live. everyone is very different with very different needs and wants. First of all, make sure you know where Singapore is located on the world map! and you - as in the family unit - will learn that Singapore is a small, heavily urbanised, island city-state in Southeast Asia, located at the southern tip of the Malayan Peninsula between Malaysia and Indonesia. Singapore has a total land area of 778 km² and 193 km of coastline. 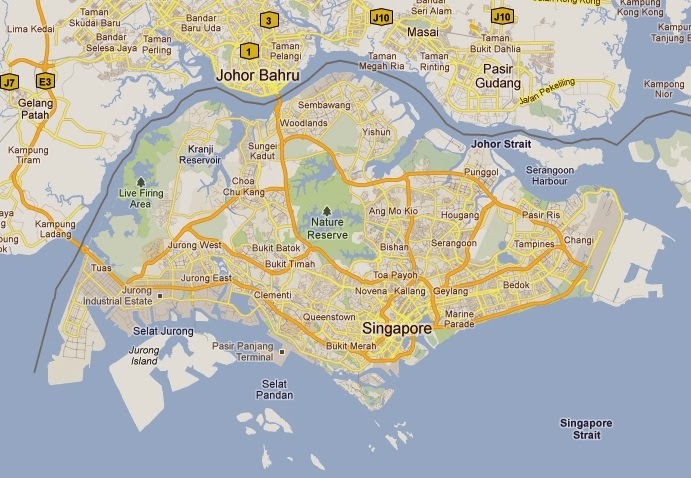 It is separated from Indonesia by the Singapore Strait and from Malaysia by the Straits of Johor. Singapore is not large by any stretch of the imagination. It is about 25km running north-south and 48.2km running east-west. 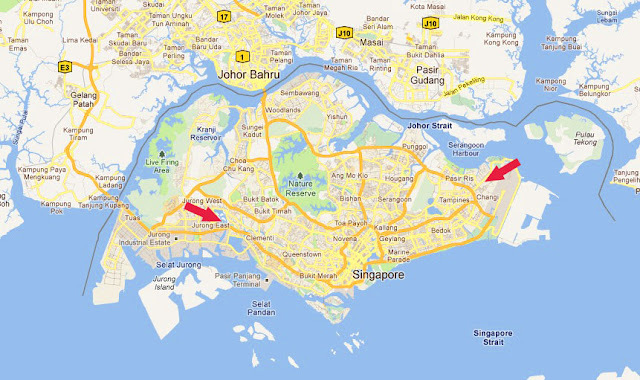 Singapore has reclaimed land with earth obtained from its own hills, the seabed, and neighbouring countries. As a result, Singapore's land area has grown from 581.5 km² in the 1960s to 710.2 km² today, and may grow by another 100 km² by 2033. OK, so now you have an idea where Singapore is in relation to other surrounding countries and you now know the size of the island. But where to live is THE question! You will need to ask yourself a lot of questions, so get out the notepad and pen. If you have children, where are they going to attend school? what school, secondary level, primary, nursery school or even university? would you feel more comfortable to live "where all the expats live"? or would you prefer to live "in the heartlands' to experience more of the local culture? where will the 'bread winner' be working? in most cases it will be the husband that is working and so you - as a family unit - need to find somewhere to live that will be within easy access to his workplace. You will need a Property Agent. Get one as soon as possible and stay with that one only IF you get on well with them and they KNOW what you are looking for. Every agent here uses the same database of properties.... so it comes down to personal preference as to who to use. Give them a list of your priorities and make sure they understand your needs and your budget. Please feel free to CONTACT ME if you would like the name of the property agent we used for this apartment. She was very helpful. some do, many do not. if you are in the latter category ..... do not fear! You will be able to get around Singapore quite easily via public transport. In fact probably far better than you did in your own 'home country' wherever that may be. 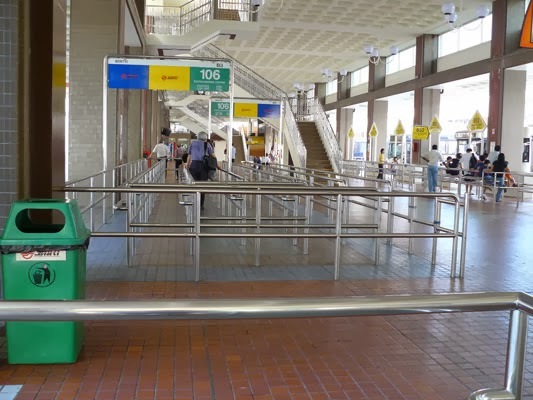 Public transport in Singapore is quick and easy to get elsewhere within the island, even more so now that the new Circle Line is opening this weekend! If you are coming to Singapore due to work, locate where the workplace is on the map of Singapore. From that point, take each of the main roads or train line out by about "20 minutes"... of course this is probably going to depend on the scale of the map you are using! If you are looking at the map according to the MRT (rail lines) then it is approx three to four minutes between each station. That might give you a better idea! 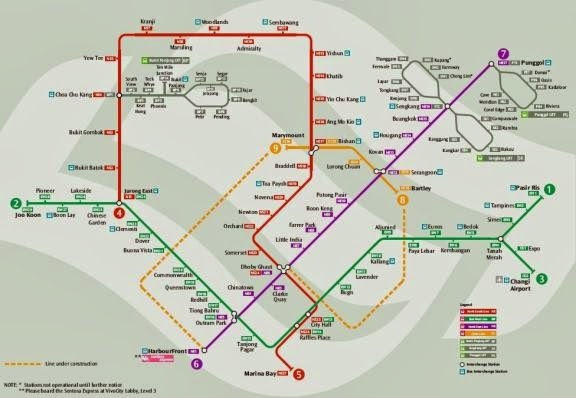 Look at Jurong East MRT (station) on the map above, which will be the one at the end of the red line (the North-South Line) on the left of the map ..... it will take approx 15 mins to get to Kranji MRT heading north or approx 15 mins to get to Queenstown MRT on the green line heading south/east. From Juong East MRT it takes about 35 mins to get Orchard MRT with one 'train change'. This will help you plan where to live by to traveling to work using the MRT. When we had to move from Bukit Batok last January. I used the same principle ... where to live that would be easy for John to get to work at Jurong? 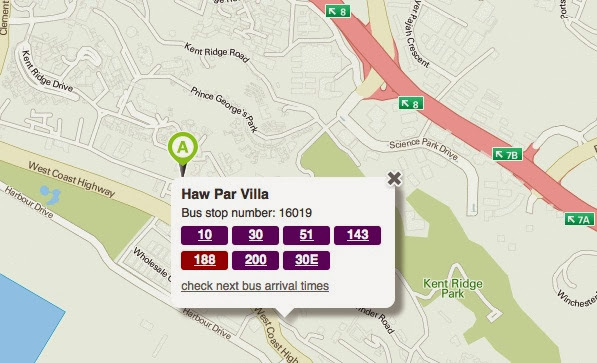 We needed to live somewhere cheaper and the Pasir Panjang Road area seemed to fit that bill. I looked at the map and anywhere along the MRT lines was going to be expensive, so checked all the bus routes coming away from where he works.... there were at least 8 bus routes that I could "follow". As I "followed" each bus route I made note of the condo's to check. I found one on Pasir Panjang Road with a bus stop right outside the door that will take him to work with 20 minutes! I am not saying how we did it will work for you ...... but it maybe a way of starting to consider "where to live". Add in where the children are to go to school, what you can afford, where you need to shop etc.You may not be living in a condo, you may decide to live in a 'landed house' or a HDB (Housing Development Board) apartment. There is a lot to consider and it usually will come down tp what you can afford or what is convenient for work, school or shopping. Cheaper will give you less convenient places to live as in shopping, schools, transport etc. But you - as in the family unit - need to work out your own priority. Some expats get the whole 'package deal' complete with car, accommodation, schooling etc, so really have no 'need' to worry about costs! But there are others that do - or will - need to weigh up the costs in relation to convenience. I do most of my shopping on-line so do not worry too much that I am a long way from a supermarket. If I do go shopping and end up carrying far too much back, then it is 'convenient' to grab a cab. Cabs here are not expensive and it costs me usually $4.00SGD to go from the supermarket to home. Most stores do a home delivery of large items too. 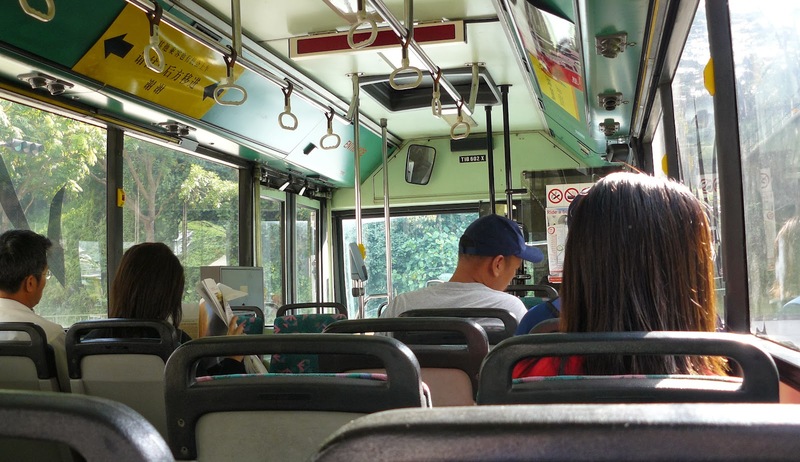 Public transport in Singapore is safe, clean and easy to use, be it to work, school or going out of an evening. The two following images will show you 1, at a bus interchange and 2, on a bus. Living here on Pasir Panjang Rd means eating at the local Hawker Markets is not as convenient as it was at Bukit Batok.... very sad indeed for us ..... as we really enjoyed eating at the Bukit Batok Community Centre as it not only had the best food, but the friendliest people too! We have found a couple within walking distance, but found better ones (like Pasir Panjang Food Centre) a short bus ride away. If you decide to live along the East Side of the Island (East Coast Park area) there is a large variety of eating places there too. Well there is all over the island to tell you the truth, you will never be hungry here. 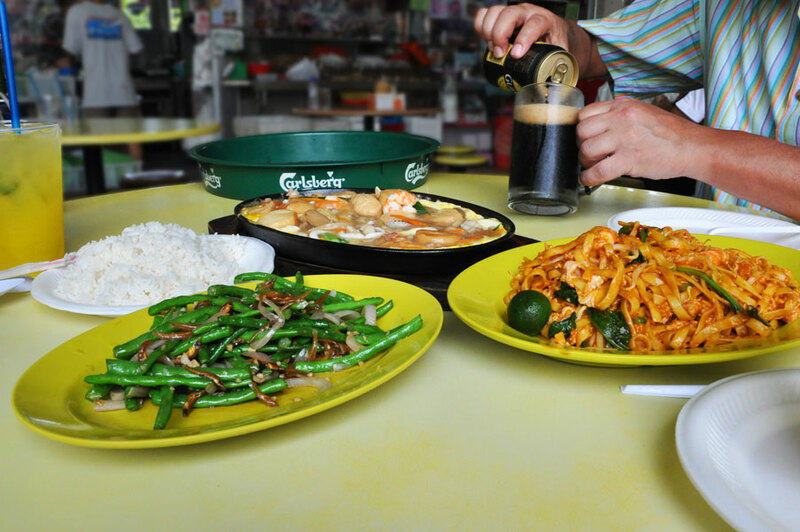 Food is top priority and eating in Singapore is a favourite past time! If food is your TOP priority ..... then deciding "where to live" according to the best place for food is going to be a major decision! Another helpful site is the URA ( Urban Redevelopment Authority ) This site will give you further information about parking, government housing and other interesting things regarding Singapore in terms of building and planning. Have a look at the website as there is sure to be something that might help in the decision of "where to live"! Looking for "where to live" may also depend on your hobbies. Maybe even kayaking? So factor that in too. 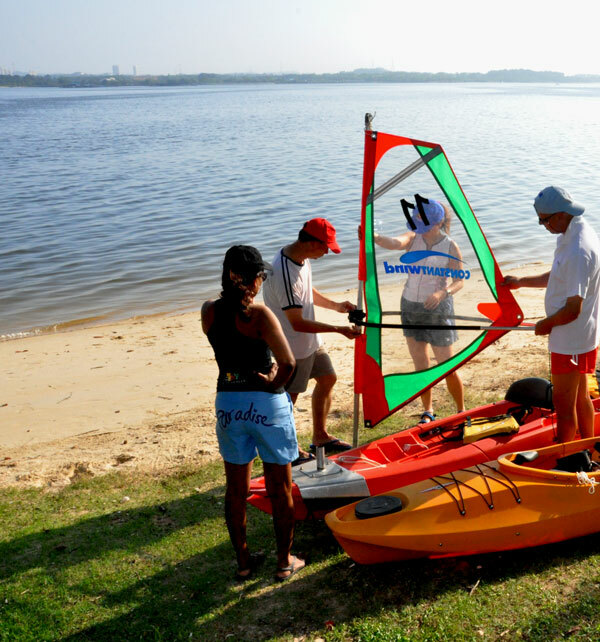 Kayaking is popular on MacRitchie Reservoir as well as in the north part of the island. Bike riding can be achieved anywhere in Singapore, but you may like to consider where the "Park Connectors" are located for safe and easy riding too. 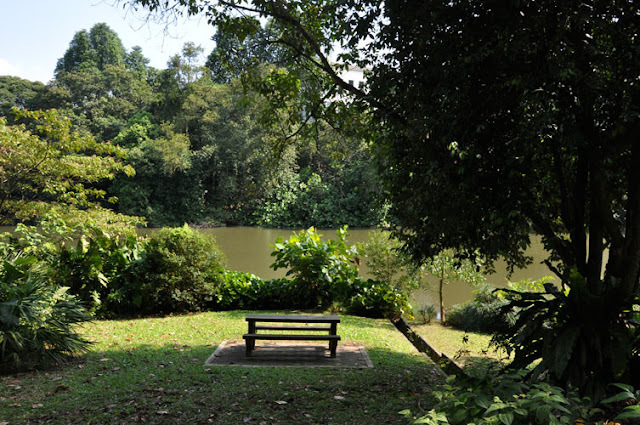 If walking and getting out there with nature is a favourite hobby ... then consider any one of the hundreds of parks in Singapore. Be it Bukit Batok Nature Park, East Coast Park, Pasir Ris Park or the Southern Ridges .... all have much to offer in the way of walking and experiencing nature at its best. Looking for an address? Try STREET DIRECTORY .. it has the more 'up to date' address's over and above the google map. Then of course, once you have found WHERE TO LIVE and are moving in, you come up with even more questions as to what telco service to use. We use SINGTEL and have found it to have the best overall service. Also probably need to find furniture or places to shop. 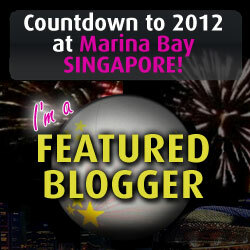 But that will be a whole new blog post so in the mean time..... do check Andrea's very helpful blog post titled Helpful Singapore Information! There is a lot of information on shopping including the chicken man, Ben foods, etc. After reading all of the above, are you any the wiser? Do you know if it is "better to live" in Woodlands or Holland Village or Kranji or Bedok or Bukit Batok? It is a big decision, you will be living there for at least two years so you have to make the right decision and spend time doing the research too! For us, living in Bukit Batok area was the better place for us to live, we became part of the community and settled into "living in Singapore" very quickly. We came here to gain experience. Global experience in the work environment and cultural experience socially and personally. gothere website for how to go where! I love it. The one thing I would say is NOT to follow the crowd or let ANY ONE tell you where you "should" live. Our realtor tried to say we needed to be in woodlands and we knew we wouldn't be happy. IT is your family Unit and you need to be the advocate. I remember when we first came here and had dinner with 'friends' at Holland Village (Sept 2006) and we were asked where were we going to live. "well you have to live here"
"well this is where ALL the expats live!!" We actually found that comment very helpful..... we did not want to live where "all the expats lived" if we did, we may as well stay back in our own home country! But for us it was a helpful answer, as we knew then it was not an area we were going to look at ... so focused our hunting for a place to live, elsewhere. It is probably a good place to live for many others ... I am just saying from our own personal thoughts and experiences! Great post! 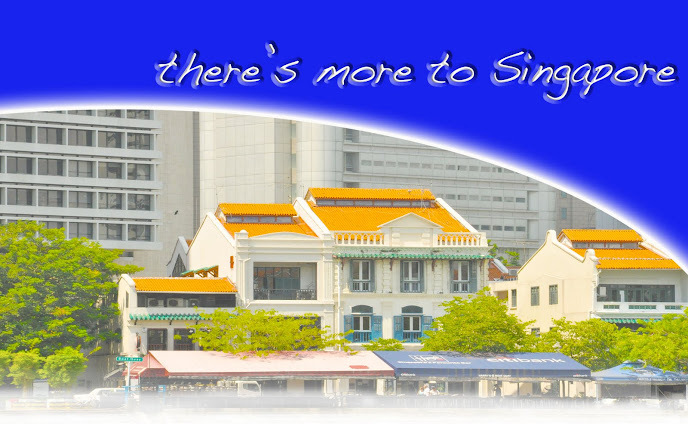 There is much to learn about Singapore before deciding on a place to live. I'd recommend coming over just with your husband to look at property too. I didn't and although I love where we live, I don't like the size of it so much. My husband didn't think about the size of the kitchen, whereas that's the first thing I look at. We live on the East coast and love the lifestyle here. We can ride our bikes everywhere, take a short walk to the bus or mrt to go into the city or drive our car around the island. There really is so much to consider. and yes, if one can do a "look see visit" then do so.... better still with the complete family unit. Not everyone is offered such a visit, but its even worth paying for the fares yourself to get a feel of it. Most people have been here (Singapore) on holidays, but to live here is VERY different. I think everyone needs to draw up a LIST OF PRIORITIES when apartment hunting. Be it balcony / kitchen WITH hot water / large bedrooms etc. Many people (on arrival) are surprised at no oven for example! Great post. Jeff came out to Singapore before I did and picked out the apartment, but he knew what I wanted and picked a great place. For us, our budget and having two dogs determined where writing lived. The buses are great so we function well without a car. I think I might re write this one (eventually) for NotaTourist! I would also add to not limit yourself to just one area. WE had pretty much set on the area near our kids school, 90% of the properties we looked at were out that way. At the last minute I requested they show us a few places midway between my husband's work and the kids school. And that's where we chose! I found looking at a country map can be confusing as I still think in "Australian distances". As you said everyone is different and has different requirements and you need to spend time carefully considering these. We are very, very fortunate that despite the leasing saga from hell (I'm pretty sure no-one's story can ever beat ours!) we landed in a great place, witha wonderful community that suits our needs perfectly. I agree ..... check more than one area. Walk around a few of the streets close by too to 'get a feel of the area' before signing on the dotted line. A lot of the decision will be made on what the priorities are too. Maybe it is school OR work, or a compromise by choosing somewhere between the two. It's all about doing the homework. What a great, informative post! I will definitely be forwarding this on to any future friends and colleagues moving here. Thanks for that ... the comments left by people (above) are also very helpful in locating a possible place for "where to live". Hello, thanks for this very helpful post! We are currently looking at a place in Sing (moving out there in a month) and find it quite a lot to take in. I have been to Sing several times, but living is very different from visiting. Near to either Clementi or Newton seem most practical. What are those two area's like? Are they very expensive (probably, as they are very practical to commute and near good schools...). We have a half decent budget, but no idea what that's woth out there. I am also not really sure what I want. For me I'd like to be a bit away from all the expats, but the kids would probably like to be near their friends. My husbands mainly wants a good commute (tired from London trains...) Any thoughts? don't forget the bus lines as well. The trains run every minute during peak time and 3 mins should peak and 6 mins off peak. Can't beat that! the bus and the train service is excellent.... truly won't even need a car. We didn't in the 5+ years we lived there. The children will make many friends at school and in the are they will live ... there will be a swimming pool tn the condo that you choose and you will sson see they will not need to be always close to their school friends ... anyway, they will probably have so much homework to do they won't have alot of time to socialise!!! Hi, thanks for your quick answer! Will definitely look up the FB link!